This column is sorely tempted to be a lazy sod and write just a single paragraph preview for this tie. Truth be told, a sentence or two should effectively do but, even though it is Christmas, the earthly powers-that-be who fund this column’s lavish lifestyle would not look too kindly on such a cheeky play so we’ll attempt some level of analysis to keep them happy and in the cheer of the season. We would advise anyone who hasn’t done so to just take a look at the form table from the last couple of months and marvel at the array of green beside Chelsea’s name. It’s like taking a summer stroll in the hills and valleys of Wales or anywhere else place that evokes in your mind images of lush, green fields. They are imperious, untouchable, damn near perfect. Eleven matches and eleven wins with only two goals conceded and one of those an own goal – they are the gold star sitting atop the Christmas tree. Somewhere closer to the middle of the tree sit Bournemouth and at the halfway stage of the season, that’s not a bad place to be. They’re currently in 10th place, 13 points from the top four and seven above the drop zone. There are plenty of teams between them and the bottom but they can’t consider themselves to be safe. A certain run of results coupled with their likely loss here could see them slip to 14th. 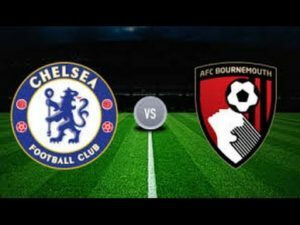 Although it is incredibly unlikely that they will prevail against their hosts, it is vital for Bournemouth to put on a resilient show. Although they have at time looked excellent and garner much praise for playing football in the ‘right’ way, consistency is a big issue for them and it is a long time since they have won back-to-back games. Eddie Howe will certainly relish pitching his players and his mind against the best in the business but, as he is surely aware, the best of intentions will count for little here. The only possible chink in Chelsea’s armour of late might be in their relative lack of goals. A single goal scored in each of their last three victories has been more than enough for them but does it indicate a slight drop in attacking efficacy on their part? Probably not but it does represent a thin ray of light for the visitors. However, even in this season of generosity and gifts, it likely won’t be enough for anything other than a spirited loss. The best price for a Chelsea win is 4/9 and comes from StanJames.